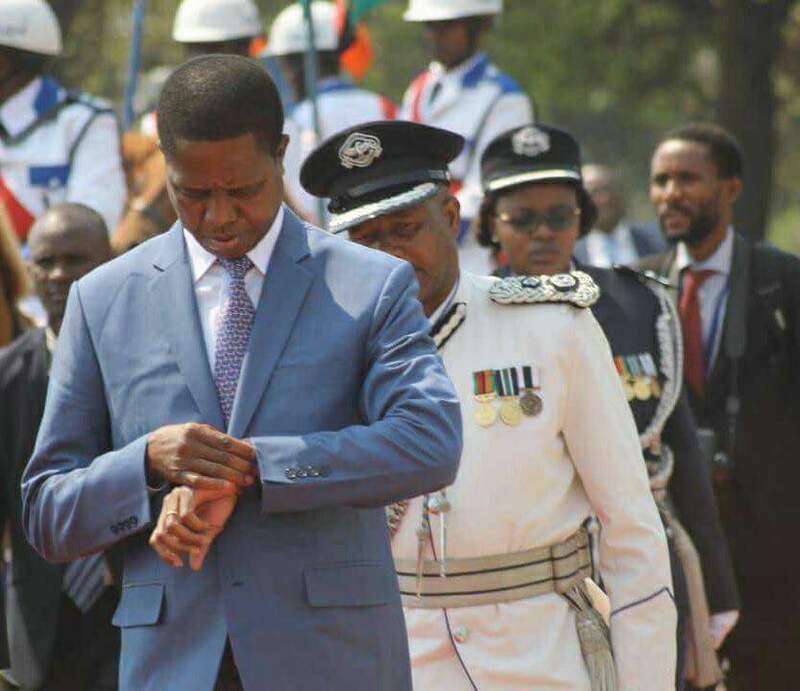 Zambian leader Edgar Lungu will be among Heads of State attending inuguration for Zimbabwe’s new president Emmerson Mnangagwa. President Lungu will travel to Harare on Friday to attend the inauguration of new Zimbabwe’s new President, Emmerson Mnangagwa while on November 28, 2017 he fly to Kenya to attend Kenya’s Uhuru Kenyatta’s inauguration. President Mugabe whose 37 years reign was brought to end after the military seized power early this week and was forced to resign after 48 hours of persuasion to have him resign has been a godfather of President Lungu. Foriegn Affairs Minister Harry Kalaba confirmed that his boss will be in Zimbabwe for the inuguration ceremony. He explained that the Head of State would make round trips to both countries for the ceremonies. He defended the President’s trips saying the trips are unique and important in their own right. “His Excellency the President is tomorrow 24th November, 2017 scheduled to attend the swearing in ceremony of his Excellency Mr Emmerson Mnangagwa as President of the Republic of Zimbabwe following the resignation of president Robert Mugabe. With regards to Kenya, following the repeat presidential elections on 26th October, 2017, the Kenyan Supreme Court in its ruling on 1st November, 2017 upheld and confirmed the re-election of His Excellency Mr Uhuru Kenyatta as President and commander in chief of the defense forces of the Republic of Kenya. His Excellency the President is therefore scheduled to attend the swearing in ceremony of his Excellency President Kenyatta which will be held on 28th November, 2017,” Kalaba said. The Minister explained that both ceremonies would consolidate Zambia’s relations with the two countries. “The participation of his Excellency the President in these ceremonies is significant as such occasions are aimed at further consolidating the existing relations between Zambia and the two countries, with a goal of enhancing strategic partnerships that will consolidate economic corporation for sustainable development. The occasion will further provide an opportunity for the Head of State to deliberate on matters of bilateral and regional importance. Attendance of inauguration ceremonies, particularly of neighboring countries by the Head of State not only shows solidarity to his counterparts but also promotes the spirit of unity, understanding and oneness,” he said. President Lungu is the most travelled Head of State so far in the history of Zambia having made over 45 foreign trips since becoming president in 2015. The President has an obligation to ensure cordial relations with anybody who assumes presidency in Zimbabwe. The chirundu border handles perhaps the largest volume of business transactions for our country and we share the border with Zimbabwe and our good transit through that country . Therefore, before one writes a cynically biased article it is important to think outside the opposition inclined box of perpetual negativity towards the Republican President.